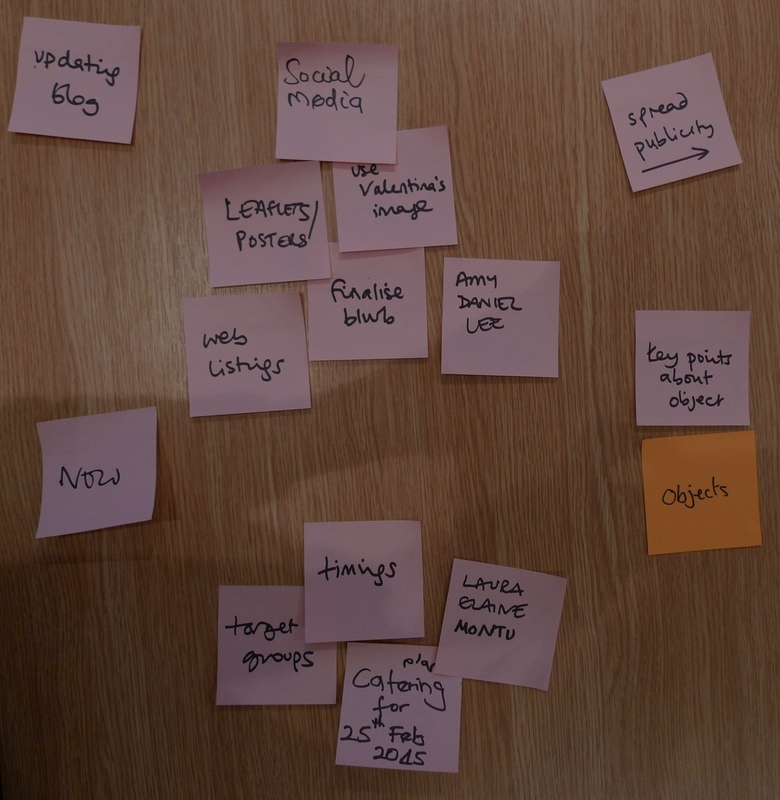 I’m going to try to summarise what happened at this week’s meeting through the medium of photographs of post-it notes. 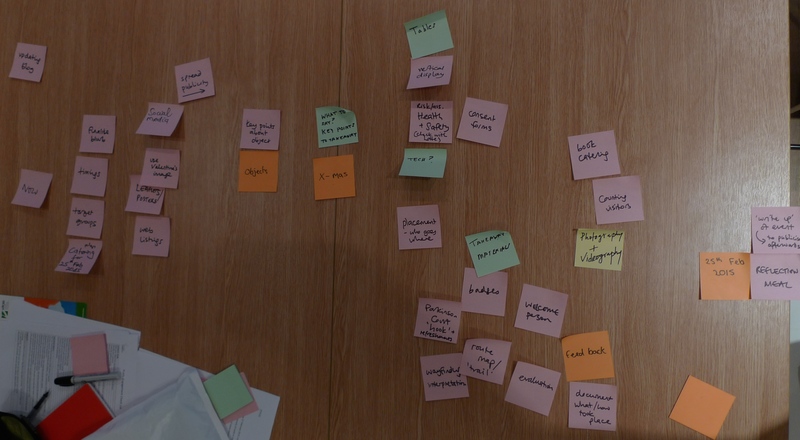 First of all – not documented in post-it note format! – we discussed a draft blurb for the event I had written. Lotte is checking this at the moment, and I will recirculate it for final comments when it’s been finalised. Finally, we planned our next 2 meetings. The first of these will be on Wednesday 3rd December, 12-1pm, at the gallery. We’ll split into smaller groups to plan (a) who we’re inviting, and for which time slots; and (b) what publicity material we’ll need to contact those groups. The last meeting before Christmas will be on Wednesday 17th December, 12-1pm, at the gallery. 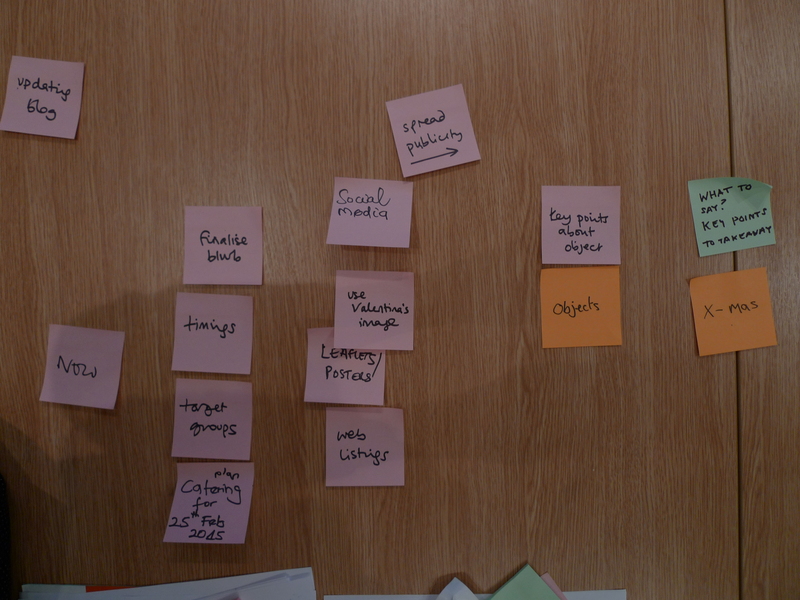 Each of us will bring the ‘curious object/s’ we plan to exhibit, along with the key points we want to communicate. 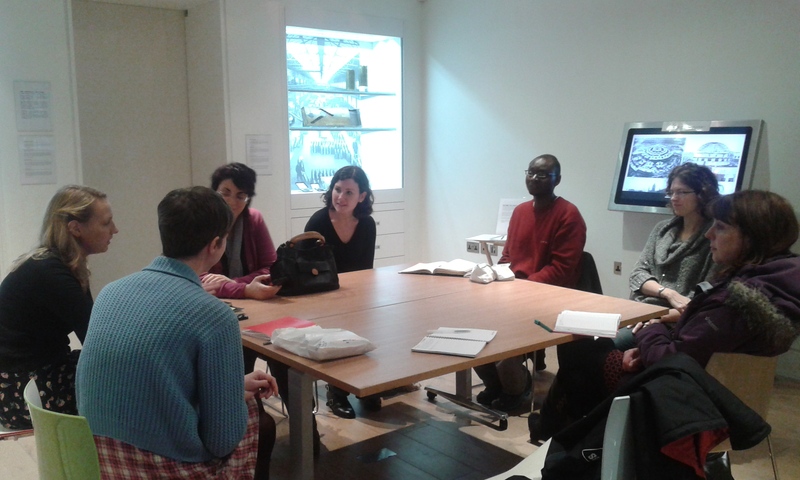 Here we are, meeting with Lotte Inch in the Stanley & Audrey Burton Gallery’s education space. We agreed on Wednesday 25 February as the date for our event at the gallery. And we arranged to meet next Wednesday (19th) at 1pm in the gallery with the aim of plotting out the practical things we need to arrange for the event. 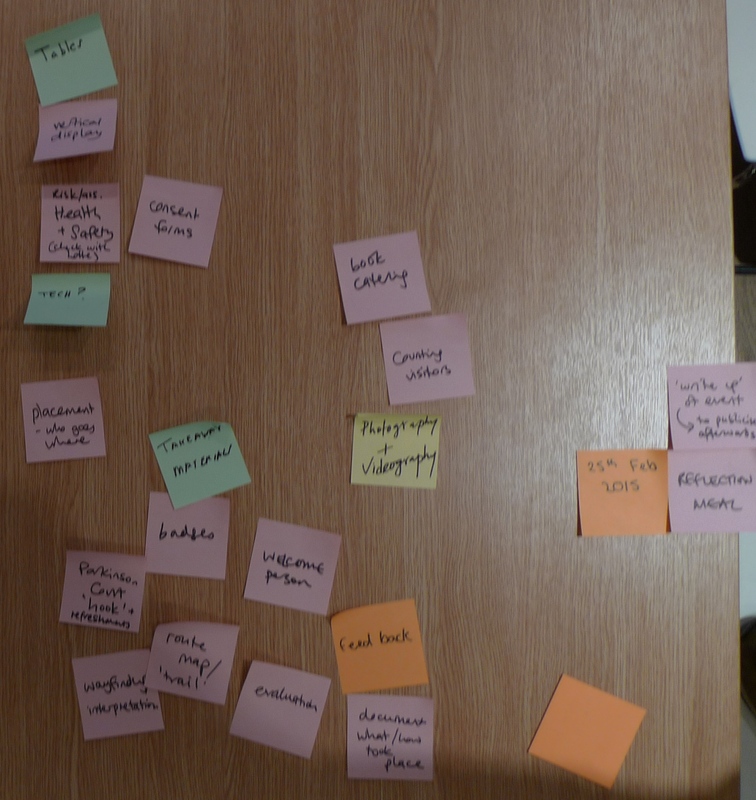 A quick summary of the meeting – we agreed to go ahead with the plan to run our public engagement project at the Stanley & Audrey Burton Gallery, to run alongside their Nostalgia & Progress exhibition. We’ll hold our next meeting at the gallery, so we can see the space and meet Lotte Inch, who is responsible for marketing and events there. Laura will be sorting out a Doodlepoll to arrange a time that we’re all available in the next couple of weeks.